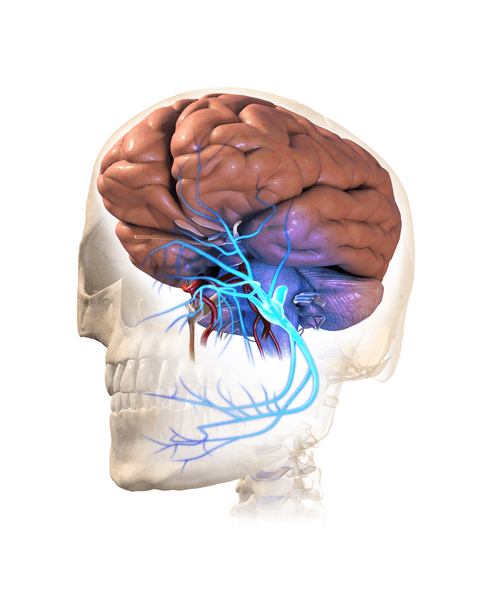 Trigeminal neuralgia has several names and acronyms (TN or TGN) – it can be known as tic douloureux or, due to the excruciating pain, ‘the suicide disease‘. It is believed to be the most painful condition known to man. TN is a very painful disorder of the trigeminal nerve, the largest of the cranial nerves, of which there are two: one on each side of the face. Due to each nerve having three branches, it is known as ‘trigeminal’. One branch causes the forehead to feel sensation, the second reaches the cheek, and the third, the jaw. The pain can last from several seconds to minutes and can be triggered by drinking cold fluids, cold drafts or by chewing, washing the face or brushing the hair. Attacks can go on for weeks or months and medication or surgery do not always stop the attacks. Medication can cause side-effects. The pain can be so excruciating that patients are scared to do anything that involves moving their jaw and try not to talk or eat. Even a light touch to the face can trigger an attack and patients try not to wash or shave their face. Interestingly, TN is more common on the right side of the face than the left – it very rarely affects both sides. TN is more common in women than men, and in adults over 50, however it can affect people of any age and it is very rare in children. Luckily, it is extremely rare and estimated to be roughly 0.1% of the UK population. The exact cause is unknown for the majority of cases of trigeminal neuralgia. It is believed to be due to a blood vessel pressing on the trigeminal nerve as it enters the brain where the pressure from the blood vessel damages the protective outer coating of the nerve (the myelin sheath). This results in the brain receiving signals from the nerve fibres that transmit pain. Very rarely, TN can be caused by a tumour or a cyst pressing on the nerve. People with multiple sclerosis can experience TN but it is extremely rare for this to be their first symptom. As mentioned above, patients are often put on medication before surgery is opted for in cases where the medication causes severe side-effects. The medication used is usually anti-convulsants (or anti-epilepsy drugs). 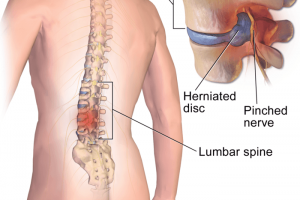 There are other alternatives though, such as NanoVibronix PainShield®, which has been shown in several clinical studies, to reduce pain and help nerve recovery using low frequency therapeutic ultrasound. Unlike conventional bulk wave ultrasound, the PainShield’s unique frequency and intensity affords longer treatment sessions (6 hours overnight) that are more effective than the conventional products. Patients are often pain-free within a matter of weeks, even those that have suffered on and off for over 20 years. My wife has suffered from Trigeminal Neuralgia for over 20 years and we have tried basically everything on the market, i.e. medicine prescribed by doctors, i.e. tablets, ointment, gel, you name it but no pain relief. She also went for x-rays at a dentist who pull some of her teeth because he believed that it was the teeth that caused the pain. Again no pain relief. She also tried zelitrex for shingles because the doctor believed it was the underlying cause. One doctor also referred her for a brain scan while another prescribed drops for her ears because it was a transferable disease in the family. As you can see everything on the market to relieve the pain. Nothing worked until we came across and tried the NanoVibronix PainShield. At first the tenderness increased but we persisted, and after 14 days we noticed some improvement, the pain was reduced and within 8 weeks the pain completely disappeared. We couldn’t be happier with the results. We still continue with the treatment a full 6.5 hrs every alternate night and will do so for the next 4 weeks. We will then gradually step down on the treatment until we have completely stopped with the therapy. Will give feedback once we reach that stage and discover what is happening with her and the trigeminal neuralgia. It will help other patients that are in pain but aren’t sure if it can help them… Some have suffered for years but are tired of things not working. Maybe the PainShield will work for them too as it does in at least 73% of the cases. My wife is an example of total relief for the last three weeks now. If you would like more information regarding the PainShield and you are based in any of the countries listed below, click on chat on the bottom right of your screen, or call 020 8868 3163 during UK work hours, or contact us here. Bahrain, Iraq, Kuwait, Oman, Qatar, Saudi Arabia, and the United Arab Emirates.